Group classes are held on Saturday mornings in Holland Park. 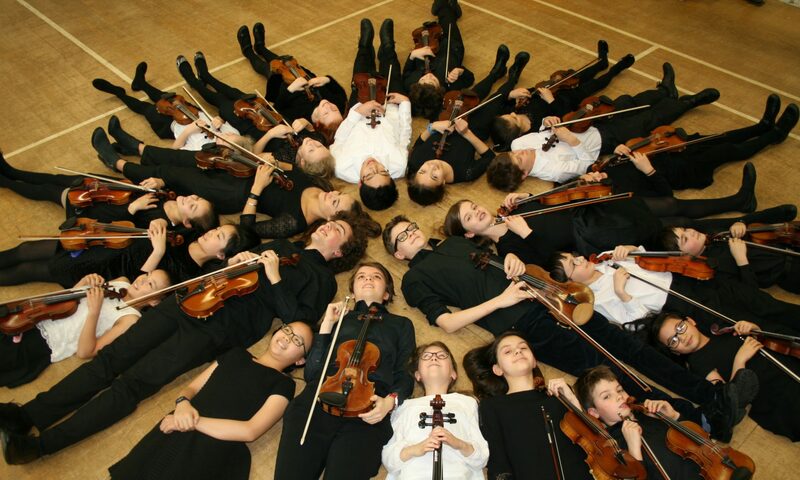 Depending on age and playing level you may have a group class, singing or musicianship, string orchestra and also chamber music for the most advanced pupils. We have children from as young as 3 years old to 18. Groups are held on six Saturdays every term. Please see our Calendar page. What do Children do in Groups ? St Clement’s and St James’s School is well served for public transport. If you can come on the tube or bus, do so, as it will save you a great deal of ‘parking angst’. – Holland Park Station (Central Line), is 10 minutes walk from the school. – Latimer Road & Wood Lane stations, (Hammersmith & City; Circle Lines), are c.15 minutes walk away. – Notting Hill Gate (Central, Circle and District Lines) is also c. 15 minutes walk away. The 31, 94 & 148 bus routes all run down Holland Park Avenue. – There are usually a few parking spaces in the school car park, accessible from Princedale Road. – The school is in Kensington and Chelsea, so those with RBKC permits should be fine. – There is pay & display parking nearby – around St James’ Square, Walmer Road, Penzance Place and along Princedale Road. However, there are very vigilant traffic wardens, so do be careful about where you park, and how long you park for. Holland Park is very good for shopping, eating cakes and drinking quite expensive coffee. There is a wonderful bookshop, Daunt’s, and a great butchers, Lidgates. Also, unmissable in the distance is the vastness of Westfield, offering any consumer item (except perhaps sheet music,strings & rosin) that you might need on a Saturday. There is also a very nice and friendly small park with well equipped playground, Avondale Park, just behind the school.